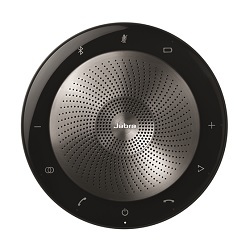 Jabra Speak 710 UC Speakerphone with LINK 370 Dongle | Avcomm Solutions, Inc. Enjoy high quality sound in a premium portable design for your calls and music with the Speak 710 speakerphone. 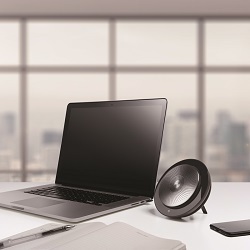 The first truly professional and personal wireless conferencing device, the Speak 710 boasts an Omni-directional microphone for up to 6 ‘in room’ attendees, 15 hours battery life and a HiFi grade speaker for crystal clear conversation and music. High performing Omni-directional microphone and HiFi grade speaker with ability to pair two Speak 710 devices for a full stereo experience. Intuitive and easy to use with no need for user training or IT support. Speak 710 comes with a pre-connected Jabra Link 370 USB adapter. 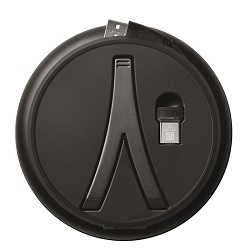 Be mobile with a lightweight design, protective travel pouch and 15 hours battery life. •Full compatibility with UC systems & VoIP clients - Seamless integration and call control with leading UC systems/PC softphones. Certified for Cisco and Avaya.